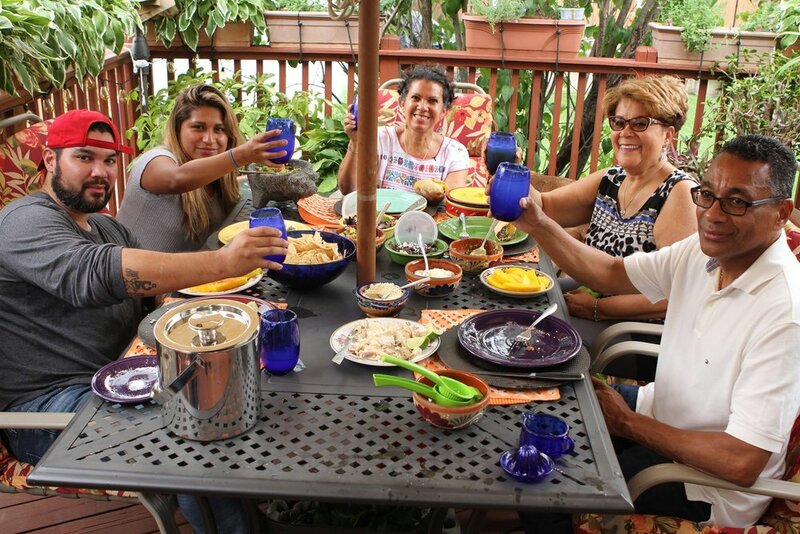 Born and raised in the Bronx, Renee learned how to cook from her Mexican tía abuela (great aunt). She was a strong, independent woman who had her own farm in Mexico, and taught Renee a thing or two about life, love, and best of all, food. 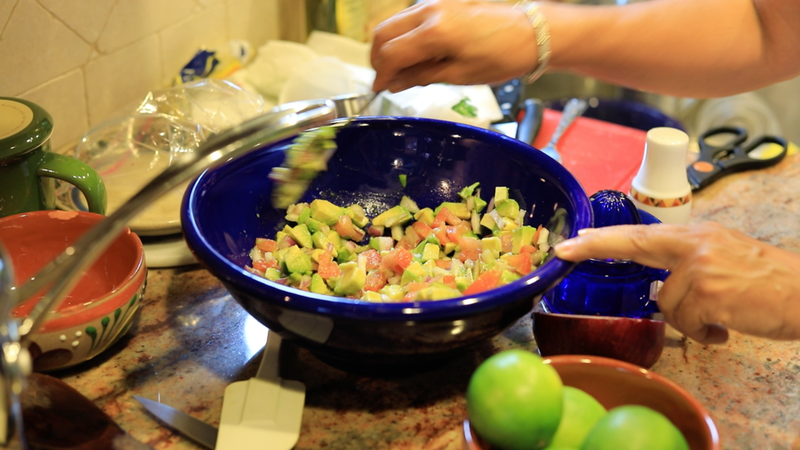 WATCH RENEE MAKE THIS PICO DE GALLO ON REAL FOOD REAL KITCHENS ON AMAZON PRIME! Chop tomatoes, onion, jalapeños, and cilantro to desired consistency (we like it chunky). Squeeze 1 and 1/2 limes and add the juice to the bowl, stir well. Pico de Gallo can be used on any kind of taco, on fish, in ceviche, and more. It is very versatile! Renee and her family & friends! Posted on August 25, 2017 by Craig Chapman and filed under Mexican and tagged mexican family recipes recipe guacamole food foodie Bronx New York City pico de gallo tacos fish margarita.